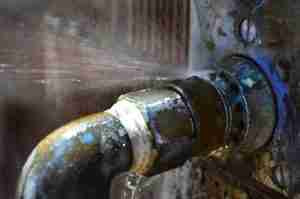 Why would you need to know what type of plumbing pipe is moving the water to and from your home? While this may not exactly seem like a super relevant piece of information, when you are trying to troubleshoot plumbing problems or even when you are hiring a plumber to handle repairs in your home, knowing the type of pipe will be beneficial. The more you can know about the basics of your home’s plumbing system, the quicker you can get to the bottom of problems and the easier it is to keep your plumbing running smoothly. Being in-the-know when it comes to your residential plumbing can save you time and money. Plus, it will make it easier for you to determine whether a certain plumbing issue means you should replace or repair. It can also enable a professional plumbing team to provide you with a more accurate quote for service or repair. Most homeowners would agree these benefits are worth a lot! In older residential buildings, the copper pipes may have joints comprised of materials including lead, which is a health concern for some builders, plumbers and homeowners. Another disadvantage of copper pipes is the fact that the price of copper has increased significantly in recent years and will likely continue to increase. Zinc-coated pipes were more common in homes built between 1930 and 1980. Today’s plumbers do not typically utilize galvanized steel pipes for new plumbing installations or new construction projects, because the pipes are cumbersome and difficult with which to work. Plus, the coating tends to break down as time passes and can lead to the pipes rusting internally, which is a cause of low water pressure and water line clogs. Need More than Just Info about Plumbing Pipes? Being knowledgeable about your home’s type of plumbing pipe is a good place to start, but you may find you need some expert help along the way. Connect with our friendly team of plumbing professionals at Armor Plumbing to get the information and plumbing services you need today.